Patrick Chukwuemeka Okogwu, commonly known by the stage name of Tinie Tempah, is a famous English rap artist, songwriter, businessman, as well as a record producer. Tinie Tempah rose to prominence in 2010, with the release of his debut album entitled “Disc-Overy”, which featured guest appearances from Kelly Rowland, Eric Turner, Ellie Goulding and Wiz Khalifa to name a few. The album spawned such singles as “Pass Out”, “Invincible”, and “Till I’m Gone”, all of which contributed to Tempah’s overall fame. However, it was a single entitled “Written in the Stars” that brought him the most commercial success. Upon its release, the song became an instant hit in the United Kingdom and abroad, as it peaked at #1 on the UK Singles Chart, and made its way to #12 on the Billboard Hot 100. “Written in the Stars” began to be featured in various advertisements and commercials, and was even used as a theme song for WrestleMania XXVII event, and was later sampled in promotions for a television series called “Necessary Roughness”, starring Callie Thorne, Marc Blucas and Scott Cohen. In 2012, “Written in the Stars” was featured in the closing ceremony of the London Olympic Games, and during the Super Bowl XLVI as an entrance song for the New York “Giants”. Tinie Tempah’s debut album in general received favorable reviews from the critics, as well as listeners, and was later certified double Platinum in the United Kingdom. A well-known rap artist and record producer, how rich is Tinie Tempah? According to sources, Tinie Tempah’s net worth is estimated to be $3 million. Needless to say, most of Tinie Tempah’s net worth and wealth comes from his rapping career. Tinie Tempah was born in 1988, in Plumstead, London, where he attended St. Francis Xavier Sixth Form College. Tempah’s music career started with “Aftershock Hooligans”, a group he joined in 2005. With “Hooligans”, Tempah recorded a mixtape entitled “Chapter 1: Verse 22”, however he soon began gaining recognition as a solo artist. Shortly afterwards, Tempah established his own independent label called “Disturbing London”, which was initially created for Tempah with a future prospect of signing new artists as well. Tinie Tempah was noticed by Jade Richardson during the Wireless Festival in 2009, which resulted in Tempah signing to “Parlophone Records”. 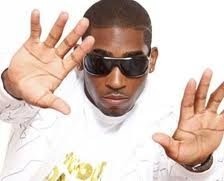 The first song Tempah released under the “Parlophone Records” label was entitled “Pass Out”, a mixture of hip hop and drum and bass. Tinie Tempah’s debut single proved to be successful, as the song topped the UK Singles and UK R&B music charts, and managed to sell more than 92,000 copies during its first week. “Pass Out” was also awarded with BRIT Award for Best British Single and Ivor Novello Awards in the category of Best Contemporary Song. It was later featured in the soundtrack of “Madden NFL 12” video game. Throughout his career, Tempah had an opportunity to work with such artists as John Martin, Adele, Cheryl Cole, and Big Sean among others. A famous rapper, Tinie Tempah has an estimated net worth of $3 million.